Your speaking ability is a reflection of your personality. It tells a great deal about your mental and emotional makeup. By it you communicate your thoughts to others; by it, too, you either attract or repel people. Speech is what aids you to adjust to others, and this is a major consideration in a shrinking world in which we are continually brought into closer contact with one another. As we engage in conversation we are, in fact, throwing out feelers to which listeners may respond. The kind of response we get depends upon the quality of our speech. Surely it is to our advantage to give attention to this admirable instrument of communication! It is a fine instrument that should be employed properly. A knife, as you know, quickly loses its keenness and usefulness if used on a job that properly calls for a saw. And it needs sharpening periodically. So, too, the speaking voice should not be unduly strained or forced to perform beyond what is reasonable, and it should be regularly checked. Perhaps it is losing some of its effectiveness. Your voice may even sound quite indistinct, without your realizing that such is the case. Keep in mind the close tie between speech and personality, so you do not give people the wrong impression. One ingredient of pleasurable speech is clear enunciation. Even when you are offering some choice information to listeners, if your speech is indistinct, much of the information and much of the pleasure of listening may be lost. How, then, can you go about checking and correcting any weakness in this regard? It is important to become conscious of the syllables that form the words in your language. Each syllable should be sounded when you speak. though not all with the same degree of emphasis. Those who drop syllables and indiscriminately run words together offer a real test to the patience of their audience. For the sake of fluency it is allowable to run certain words together, but this should be avoided when there is some danger of impairing the sense of your words. So, if you want to improve the clarity of your speech, why not slow down and do your best to express each syllable? At first this may sound precise, but as you practice syllable sounding you will gradually resume the smooth flow of speech, and your speech will be much more understandable to others. A rigid jaw and lips that scarcely move are characteristic of the indistinct speaker. The jaw needs to be relaxed so that it can respond readily to direction by the flow of thought from the brain. The lips must also be relaxed, and cannot for long remain closed. They have to be ready to expand and contract rapidly so as to put the finishing touch to so many sounds that originate in the mouth and the throat. Open vowels and closed vowels have to be differentiated. If a recording machine is available, you might arrange to record a conversation with a number of your acquaintances. This you can play back and analyze at leisure, so as to pinpoint any trouble you may have in clearly sounding certain words. It would also furnish a basis for contrast or comparison with the speech of others. Watch for instances of slurring, muffling or clipping of words, and seek to determine the cause. Usually the weakness is a mechanical one, one that can be remedied by proper placement of tongue or lips. One other angle to investigate is tension. It is well known that tensions in the face muscles or in those controlling the breath supply can have a most disturbing erect on the speech mechanism. Such tension interferes with the harmonious coordination that should exist between the mind, the vocal organs and the breath control, an operation that should be smooth and natural. So, as you have opportunity, check to see if you are subject to some distracting muscular tension, whether in the neck, the face, the arms or the hands. With practice you can learn to release such tensions. Sometimes what a speaker says may be perfectly true and accurate, yet for some reason you are not moved to accept it wholeheartedly. Because of the manner in which he said it, a manner that somehow betrayed a wrong attitude. How careful, then, we must be always to maintain a pleasant, helpful, up building attitude, so that, when we speak, our words will be acceptable to those who hear! 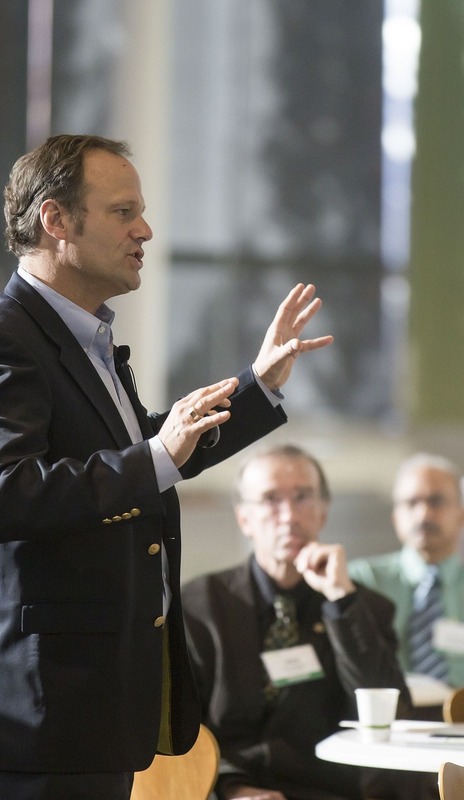 A speaker with a tired voice and a monotone presentation is usually judged to be indifferent. To all appearances he does not care whether he talks or not, and it seems he has nothing worth telling and is just going through the motions of speech. You gain very little from his conversation and carry away with you the impression of a sickly or weak personality. By all means guard against even the slightest indications of such an attitude. Then there is the forceful, domineering attitude that sometimes shows up in speakers. You get the impression that they feel superior to their listeners. How strange that they do not stop to consider that their own attitude may be defeating their purpose! After all, it is a very common impulse to reject counsel, even when it is good, simply because of the spirit in which it is given. And is it not true that you shy away from another encounter with this type of individual? How important, then, to make sure that you do not give anyone this impression! What about the pugnacious type of speaker? He takes issue with everything you happen to say and proceeds to make a case of it. Perhaps it is just the sound of his voice that is aggressive, but notice how it rouses the combative spirit in you. All you wanted was a quiet, friendly conversation. You would rather commune with your own thoughts than engage in the type of conversation that might best be described as a verbal scrap. Wisely, then, you should examine your own speaking attitude and be sure that it is not giving offense to others in this manner. Ungracious attitudes in relation to speech often show up in younger, immature persons. Your efforts to start up a conversation may be rebuffed by a grunt or by monosyllabic answers. The stolid masks of their faces suggest that they have closed their minds on the world and are engrossed with their own thoughts. Unfortunately, some young ones are simply imitating older people who seem to think it is a privilege of age to become taciturn and ignore conversation just as they wish. In extreme old age allowance can be made for the fact that the person may not have the full use of some of his faculties. Those at the earlier stages of life cannot afford to forget that they should be line examples for younger people in pleasant conversation, as in all else. How very important it is to be a sharer in conversation, not merely a listener, and yet, on the other hand, never monopolizing it! The pleasant speaker joins you in conversation. He does not talk at you or down to you. Nor does he merely talk for effect. No, but he draws you into friendly discussion with a view to exploring as many angles of a topic as possible. There is valuable interchange of thoughts that each participant can add to his store for future consideration and meditation. Volume, also, should have due attention. Perhaps you have dined out somewhere with the kind of person who could not or would not tone down his speech. His side of the conversation could be heard readily by other diners all around, much to your discomfort. You probably did not encourage conversation, but concentrated on getting through with the meal and out of there as quickly as possible. The habit of loud talk may have come about by living outdoors, or in company of hard-of-hearing persons, or amid noisy conditions. It may be developed, on the other hand, from the mistaken idea that the loudest talker gets the best attention. However, the legitimate purpose of conversation is to achieve understanding and friendship, and not to gain attention or win an encounter. What a blessing we can receive and impart through good, clear, pleasant speech! Warm and sympathetic attitudes are promoted. Our own personality is developed in a balanced manner, not ignoring the welfare of others, but always maintaining a friendly community atmosphere. Through pleasant conversation the weak and the timid can be drawn out and aided to have confidence in themselves and in others. Aggressive and overbearing ones can learn to apply the brakes to inherent tendencies and show loving consideration for others. In the warmth of pleasant conversation tensions are relaxed, with the result that defects in speech are greatly reduced, together with other causes for misunderstandings.